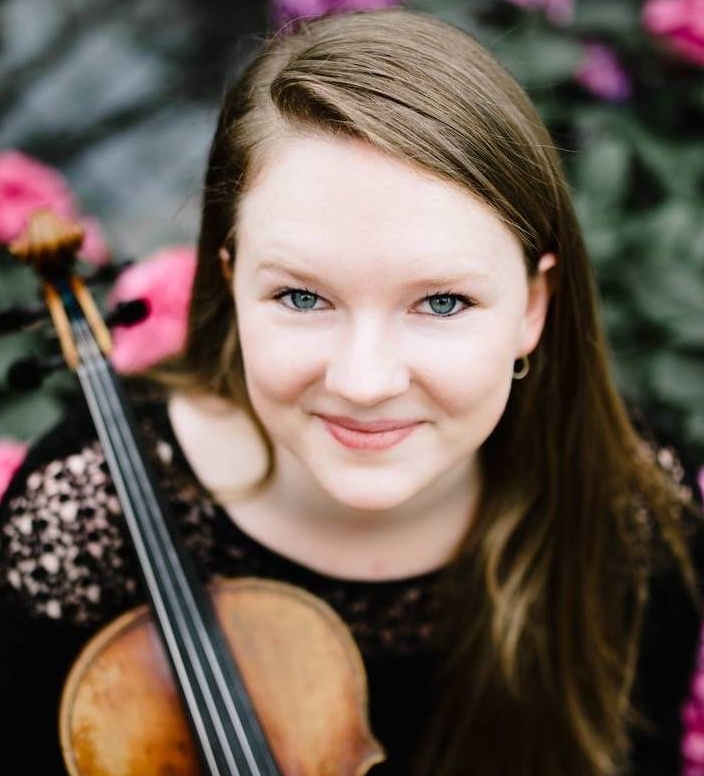 Kelsey Ferguson, violin is currently a student at the Cleveland Institute of Music studying with Jan Sloman where she is working towards a double master’s degree in Violin Performance and Suzuki Pedagogy. Previously, she studied with Ivan Zenaty at the Cleveland Institute of Music and Olga Kaler at the DePaul School of Music in Chicago where she graduated in 2016. In both Cleveland and Chicago, Kelsey is an active freelancer, performing with some of top ensembles in the areas, including The Civic Orchestra of Chicago, Fifth House Ensemble, the Akron Symphony, and Cleveland Opera Theater. She also maintains a busy teaching schedule; in Chicago she worked for the Ravinia Festival’s El Sistema program along with other area string programs and private students. Now in Cleveland, she teaches violin at the Cleveland Music Settlement and City Strings, Suzuki Theory at the Sato Center of CIM and is the assistant director of children’s choirs at St. Paul’s Episcopal Church. She has had the privilege of playing in masterclasses for Paul Kantor, Frank Almond, Ilya Kaler, and Grigory Kalinovsky as well as attending highly regarded music festivals such as the National Orchestral Institute, Bowdoin International music festival and the Orford Academie. This summer, Kelsey taught Suzuki Violin in Harare, Zimbabwe with the Cleveland Music exchange and was an orchestral fellow at Festival Napa Valley in California.